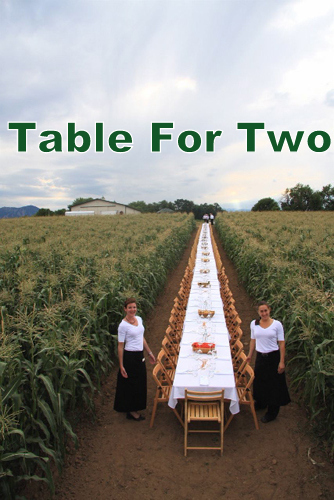 You have a party of 2 and are wanting to sit down at a larger table that seats 6 people . . . . .
Yeah. Not too narcissistic, are you? No kidding. I call it King syndrome. That’s awesome. You should read my post from yesterday, I wish I had known the phrase King Syndrome then. So would have used it. LOL! LOL! I used to be a waitress, and it is unbelievable the sense of entitlement you get from people! I admire your stamina to stay in the industry. You are welcome & By the way thanks for posting. I really enjoy reading you blog. So sad but yet so true. And for some reason, those people will sit forever at that table. Thanks a lot for liking my post on writersvoiceintranslation.wordpress.com. I spent the last hour and a little more reading your various posts. Boy, you have a perspective here that promises to sanitize the most discerning restaurant visitors among us. I particularly enjoyed the sense of piquant humor that’s in a class all its own. Great job, and please keep ’em coming! hate that situation. your blog is great. thank you for bringing me here. Yes, I’ll have to agree with ckponderings, but I loved this post and I hear your point. …that happened to me last night with two deuces that turned into 6 tops (at the same time) all wanting separate checks at the end at the SAME TIME.. while I attended another 6 and another deuce,.. eventually closed out $30+ to cash to avoid dealing with them. I just tried to refollow your blog, there should be a button to do that. I liked your post so much I refollowed you. I hate when they do this!